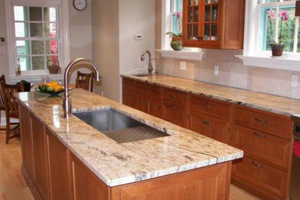 While there are plenty of options available for countertop materials, marble is often viewed as the most elegant. Aside from their beauty, marble counters are so durable that they just might be the last countertops you will ever need to install. While the popularity of granite countertops (often referred to as marble’s “sister”) can’t be denied, marble counters are still thought of as the most luxurious. Both stones are star performers, but the real differences are found in the appearances of the two. Depending on where the stones are gathered from, they can vary dramatically. Since this is the case, deciding between the two comes down to consumer taste as well as the kitchen or bathroom area in which the installation will take place. Since each stone is somewhat porous, both types must be sealed to prevent stains. This is most important for kitchen areas, as liquids that are capable of staining (like juice or wine) are often present. Many homeowners choose to use marble as a highlight of the room, installing on a wet bar, on an island, or an inset. This strategy not only provides a special touch, but it can also save money for those who are not ready for a total kitchen makeover. Do you live in northern VA or a surrounding area and want a free estimate on marble countertops, or just more information? 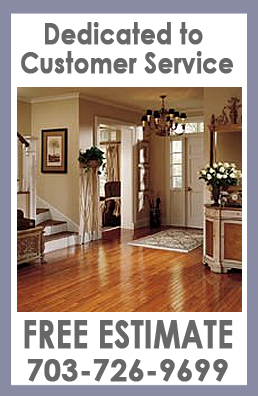 Call us today at 703-726-9699!